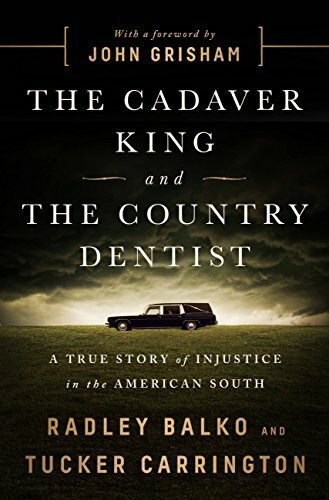 Its time to sign up for Radley and Tucker’s book about the forensic disaster that continues to plague the criminal courts of the state of Mississippi. Here is a recent review. The book does a good job in spreading the story beyond the Les Miserable-style hired-gun- experts (a MD and a DDS) to the prosecutorial system’s armor of self-protection, impunity to justice, and immunity from consequences. The story is still active. This blog has covered alot of it. This entry was posted in Uncategorized and tagged American Academy of Forensic Science, junk forensic science, Miscarriage of justice, prosecutorial misconduct, the cadaver king and the country dentist, wrongful convictions. Bookmark the permalink.